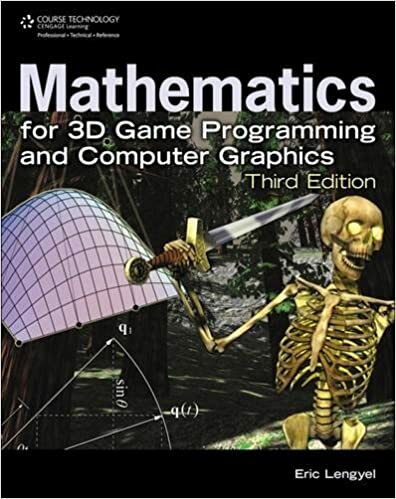 This subject guide should help you locate resources concerning both theory and practice of computer graphics. Related fields of computer animation and image processing are included in the guide on photography and film as well. Current information can be found in electronic articles and on select websites. In addition, the library also provides access to many print and electronic books. You can find eBooks about computer graphics using the search tool, by browsing the A–Z list, or by searching through a specific database. Many publications are available for online reading as well as for download. Rules may vary depending on the publishing platform. ProQuest Ebook Central provides access to current titles; e.g., from Morgan Kaufmann Series in Computer Graphics. Springer editions include: Advances in Computer Vision and Pattern Recognition and Texts in Computer Science . Wiley Online Library is offering a special deal in 2017 where patrons receive access to all eBooks, including a number from the field of computer graphics. Most library books on computer graphics can be found in sector D on the fifth floor (shelves 173–178, and 195–207). For more books and resources on related topics, please see the following table. When searching for articles please use our search tool or utilize a specific database. Registered patrons have access from home to most resources. EBSCOhost: Academic Search Complete provides access to many resources, including core journals on computer graphics. IEEE Xplore provides access to journals, books, and conference proceedings published by the professional organization IEEE (Institute of Electrical and Electronic Engineers). ProQuest Computer Science collection provides access to different types of resources concerning computer graphics. Arxiv: Computer graphics is a great place to legally access scientific articles not yet published in journals (preprints). Google Scholar searches freely accessible books, articles, and other materials (e.g. conference proceedings). You can easily add library resources in the settings. A–Z list of subscribed eJournals about computer graphics. Use DOAJ (Directory of Open Access Journals) to browse Open Access journals. Computers & Graphics focuses on research and application of computer graphics techniques. While some articles are openly accessible, others require library registration. Computer Graphics Forum provides information on research, application, and current trends in computer graphics. IEEE Computer Graphics and Applications includes peer-reviewed articles as well as informal content. All issues (including the most current) are readily available online, and issues up to and including 2014 are also available in print. IEEE Transactions on Visualization and Computer Graphics focuses on visualization techniques and other related topics. All issues (including the most current) are readily available online, and issues up to and including 2010 are also available in print. The most recent print journals are located in the Periodicals Reading Room on the 3rd floor. Older issues are available for checkout in the open stacks or can be ordered from underground storage. Older issues of no longer subscribed to print journals can be found in our catalog – for a number of them an online version is available. ACM SIGGRAPH – Community of researchers, artist, and other specialists with an interest in computer graphics and interactive technologies. Two conferences are held annually, this year in Los Angeles (30 July–3 August) and Bangkok (27–30 November). Institute of Information Theory and Automation of Czech Academy of Sciences conducts research in image processing and pattern recognition (among other topics). DCGI – Department of Computer Graphics and Interaction at CTU (Faculty of Electrical Engineering) publishes information about research as well as info related to courses. Computer Graphics Group at Charles University (Faculty of Mathematics and Physics) focuses their research on realistic and predictive rendering as well as processing and visualization of medical data. Scientific Research and Development at Masaryk University (Faculty of Informatics) has research activities covering a wide range of topics; e.g., image analysis. Computer Graphics Research Group at Brno University of Technology (Faculty of Information Technology) conducts research about topics including realistic rendering and user interfaces. OpenGL Wiki – A collaborative encyclopedia presenting a wide variety of information and examples. Real-Time Rendering – A supplementary page to the Real-Time Rendering book with links to freely accessible sources. Unity User Manual – Online manual for the Unity Editor and its associated services includes links to other helpful resources. Adafruit Learning System – Offers tutorials for projects with wearables, Arduino, Raspberry Pi, and other affordable technologies. Resource for Computer Graphics – Maintained by a Taiwan researcher with links to current conference proceedings and other computer graphics overview information. IET TV – Videos on different topics by both professionals and researchers. A Critical History of Computer Graphics and Animation – Created at Ohio State University in 2003 and remains a relevant and credible source. Coursera – As one of the most well-known MOOC platforms, Coursera provides free access to online courses from many fields—including computer science—led by lecturers from prominent academic institutions. All course material should be free, you only pay if you wish to receive a certificate. Kadenze – Another learning platform with courses from the fields of digital art, digital game design, and typography. Currently open courses include: Introduction to 3D Modeling and Animation with Maya, Generative Art and Computational Creativity, and Introduction to Programming for the Visual Arts with p5.js. CGSociety – This website of an organization for digital artists contains information on topics related to digital art, including several online galleries. Motiongrapher – A source of inspiration for anyone with an interest in pursuing computer animation. Motiongrapher includes information on creative works of graphic studios as well as information about specific individuals. Artlist – Database of contemporary Czech artists. DevArt – Online gallery of digital art works created by Google in cooperation with Barbican. The website provides information about technologies used as well as links to various GitHub projects. at CTU (Faculty of Electrical Engineering).